There are very few franchises out there I care for as much Ace Combat. And, as I am sure you all know, when it comes to franchises you love a bad entry really lets you down and leaves you disappointed. For me the entries in the Ace Combat franchise since the release of Ace Combat 6 back in October 23, 2007 have been mostly let downs. There have been a few exceptions to this with the 3DS release of Ace Combat Assault Horizon Legacy and Some aspects of the now shutdown Ace Combat Infinity but, like most fans I was ready for a return to form for the series. And my fellow aces or long standing wishes have been granted! Ace Combat 7: Skies Unknown is exactly the Ace Combat game we have all been waiting 11 long years for! 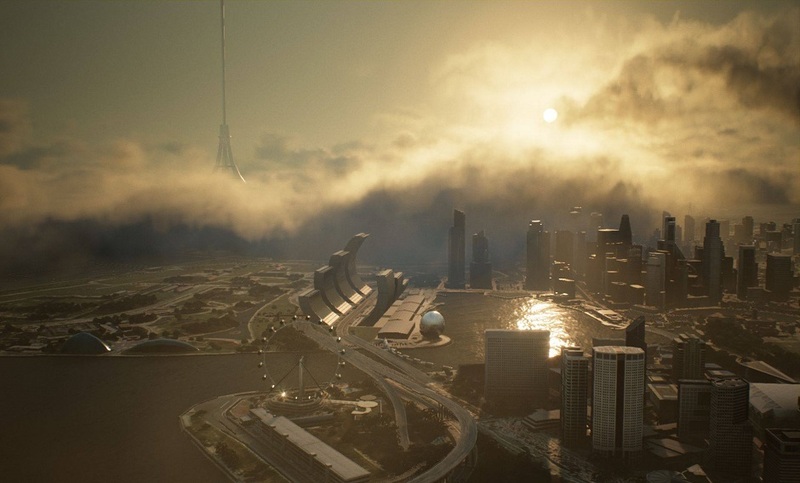 Set 9 years after the events of Ace Combat 5, the Osean Federation has built an huge space elevator to help bring economic stability back to the continent of Usea. An asteroid and numerous conflicts have ravaged the continent over the years. Seeing the space elevator as a way for Osea to take charge of the Usean continent, the Kingdom of Erusea launches numerous surprise drone attacks all across the Usean and Osean continents to weaken Osean influence. Assuming the role of “Trigger” It is up to you to turn the tide of this war! Flying in Ace Combat 7 feels absolutely perfect for an arcade flight-sim. Controls are very responsive whether using a controller or HOTAS so fans of either method should be pleased. Gone are the horrible DFM engagements from Ace Combat Assault Horizon. Instead, the flying is more in line with what players remember from Ace Combat 6 High-G turns included. High-G turns are once again based on risk/reward where they can help you maneuver behind a target but stay in it to long and you will stall. Due to the increase of drone enemies combat also gets interesting when it comes to utilizing your maneuvering. Combat once again involves lining up shots on targets and taking them out using a wide variety of weaponry including missiles, machine guns, bombs and lasers! Oh yes the lasers make me happy! Terrain and clouds also play a much bigger role in the combat this time around compared to every previous game. Clouds can help save you or an enemy from missile lock-ons. Clouds also impair visibility and radar. Staying in the clouds to long can also cause your plane to ice over resulting in reduced mobility or stalls. Purchasing new planes and upgrades functions similarly to how Ace Combat Infinity used to work. An aircraft tech tree unlocks after the first mission and features several branches you can follow to unlock your preferred planes and upgrades. Unlike past entries, all unlocked planes and parts are permanently unlocked with no option to sell them to later fund a new purchase so plan accordingly. So far missions have been extremely fun and varied with an interesting storyline included to keep you engaged and wanting more! The early missions have also been massively fan servicey for fans of Ace Combat 5 with the inclusion of the Kestrel II, Sea Goblin, former President Harling and the callsign Mother Goose One. There is also a huge bombshell moment in mission 4 so be prepared! This is perhaps one of the most beautiful games I have ever experienced. With highly detailed models and environments I can’t help but look around in awe. Clouds and other atmospheric effects are also splendidly done and result in the proper sense of confusion when you get lost in them. But let’s talk about the lighting. Lighting is a huge upgrade over previous games, you can be under cloud cover and have the expected overcast look and you will begin flying through them and see the light that is being scattered only to emerge above into the glowing sun. The whole experience is something to behold! Unfortunately there is the case of occasionally muddy textures but for the most part all the artwork is on point. 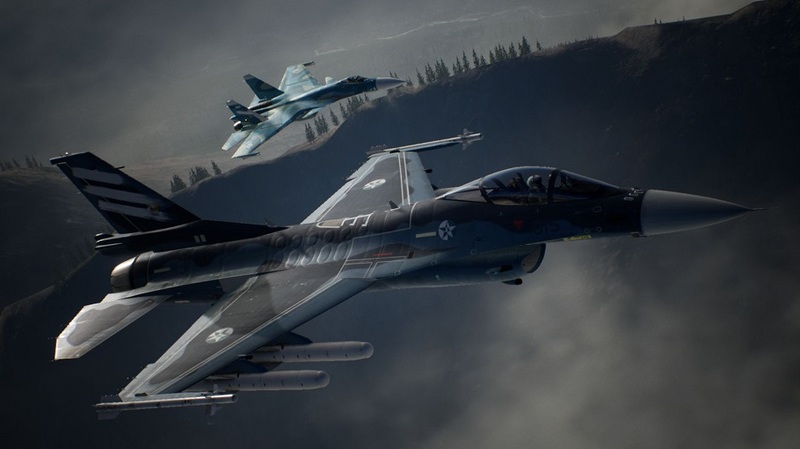 So far I am absolutely loving Ace Combat 7, the story missions and gameplay have all been top notch! The game is also absolutely gorgeous to look at. I have yet to fully finish the entirety of the game but so far I have nothing to really complain about besides target prioritization still being an annoyance just like every Ace Combat game…. For fans of the series this is a no brainer purchase that they will enjoy! I also feel that series newcomers are treated to a good place to enter the franchise with numerous approach-ability options key details from past games being explained during gameplay. Be sure to check back for the full review coming soon!